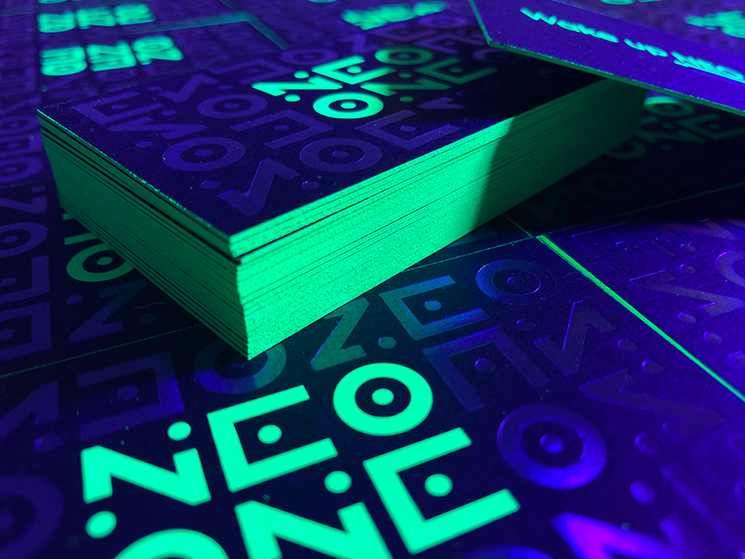 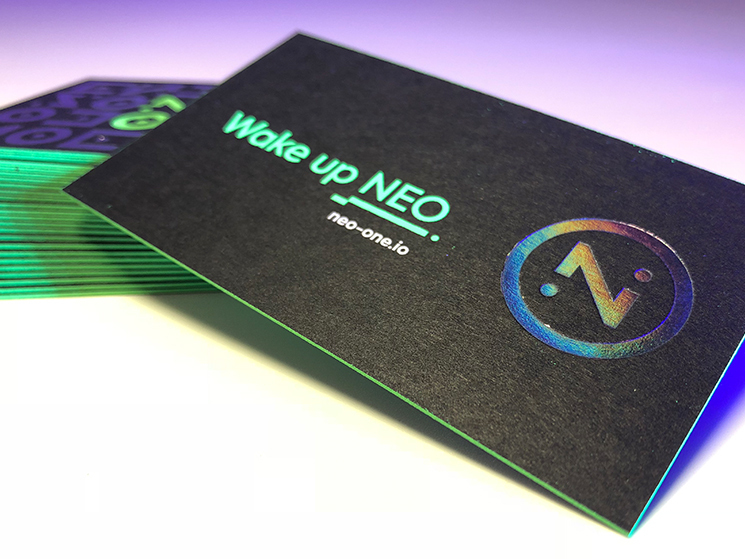 Jon Stapp designed these stunning business cards for NEO•ONE, an open source software development kit (SDK) for developers working on the NEO cryptocurrency blockchain. 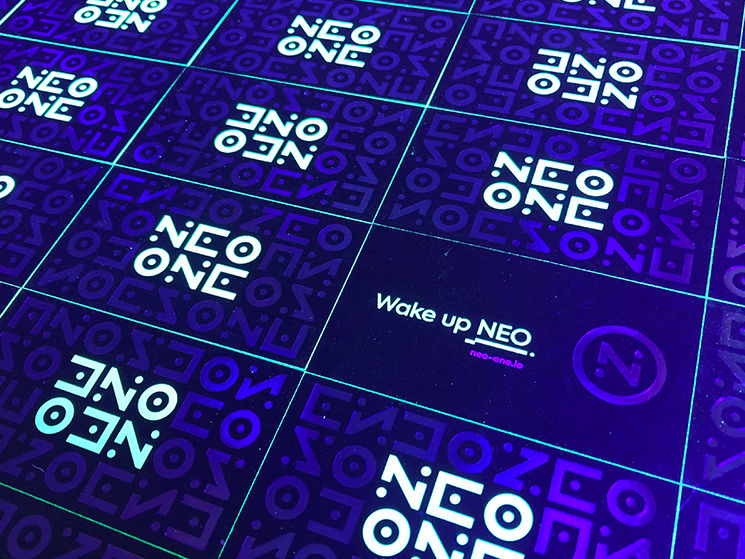 Inspired by the movie The Matrix and its main character Neo, NEO•ONE helps demystify and simplify the blockchain development process, making it easy, fast, and fun for developers to create effective NEO blockchain solutions. 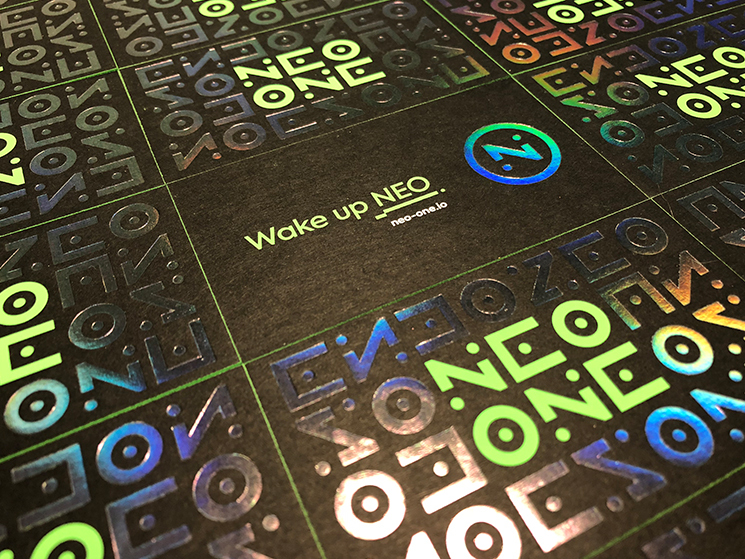 The scrambled pattern on the back is a reference to both the Digital Rain code of the Matrix and also the encryption used in blockchain technology. 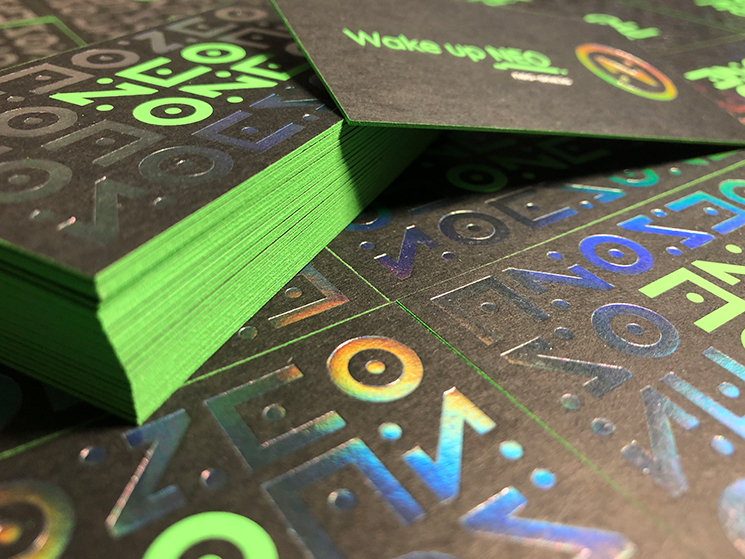 The pattern on the back and the monogram on the front are stamped with a clear holographic foil, which shimmers and distorts light as the cards are rotated in space. 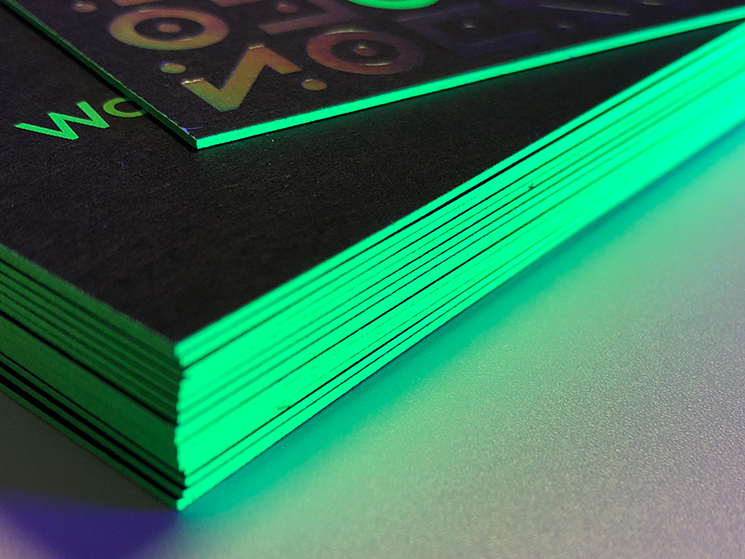 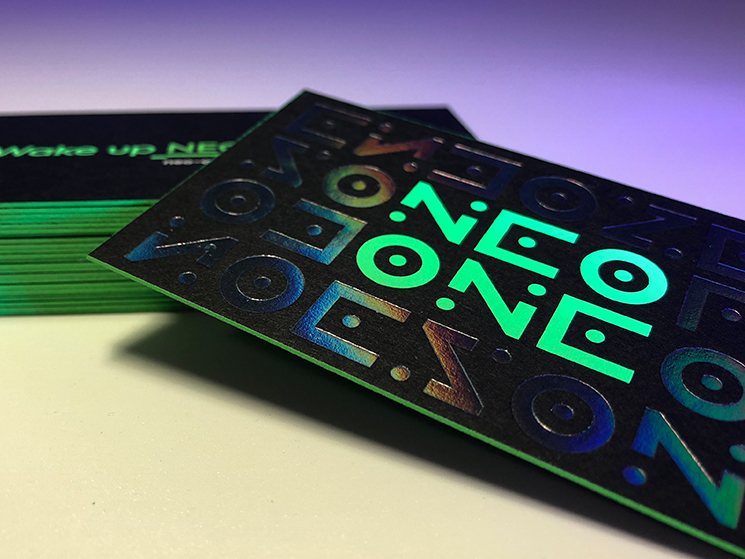 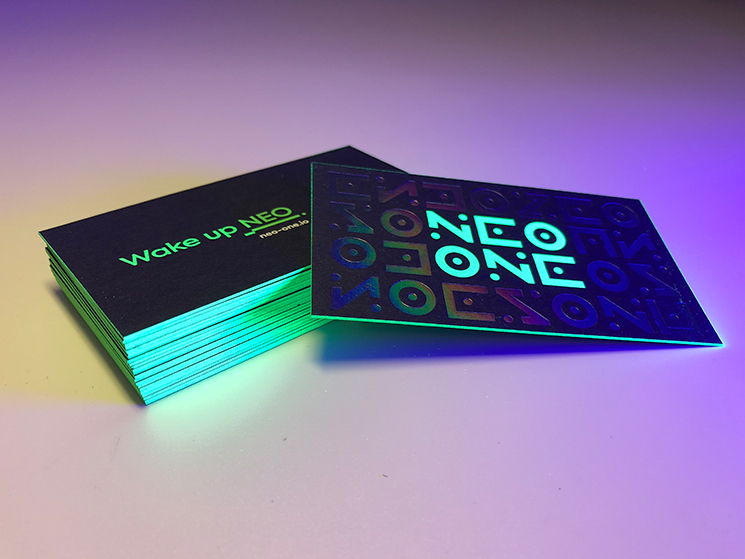 These business cards were screen printed on Neenah Paper Folding Board Deep Black Vellum finish 26pt/205C, using 3/2 – Spot Pantone 902 (a UV-reactive fluorescent) and matte white; while clear holographic foil stamping was applied to achieve a futuristic and dynamic effect. 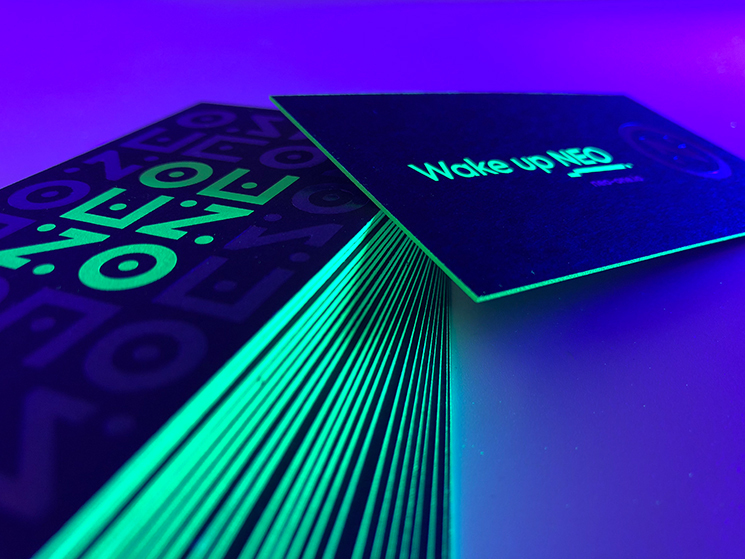 The cards were edge painted with Pantone 902.